‘THE ART OF WALT DISNEY’: Interpretations from the Disney Songbook; this tour, showcasing a series of solo soprano saxophone expositions, proudly presenting extensive musical deconstructive emphasis on a core medley spanning over 75 years of Disney songbook classics; in all its historic glory, this experimental / improvisational jazz performance will guarantee a mesmerizing night of structured musical abstraction, while pleasantly making acquaintance with its musically memorable yesterself. Soprano saxophone player specializing in experimental deconstructionism, and extended techniques; currently organizing and operating the Experimental Arts Union of Florida (www.EAUF.org), +SoLo Sound Gallery (www.sologallery.org), and founded the music publishing label, Vantage Bulletin (www.vantagebulletin.com). Resides in Jacksonville, Florida. Sabrina Siegel is an american (born in New York) free improviser/composer and visual artist. She explores creation/self/relationship through an awareness of the role of Nature/Chance in the creation of works where Nature is employed in some way( i.e. playing her guitar with rocks) to compromise her compositional control, which yields work of wonderful organic complexity. She explores improvised composition exclusively, through guitar, voice and other instruments. Ethernet is the pulse-ambient project of Portland’s Tim Gray, with releases on Kranky, Lifelike Family and many other labels. An MFA graduate of Mills College, Tim wrote his thesis on the use of sound for control, healing and empowerment, and incorporates trance-induction and brainwave entrainment techniques into his productions to create soundscapes conducive to meditation and healing work. Techno’s pounding kick is slowed, muted and recontextualized as a hypnotic pulse, underlining constantly-shifting synthesizer textures and environmental field recordings. Dream-like, perhaps mystical, sounds that one might experience while wandering in the deep woods. Mike is the owner of Optic Echo and hosts the radio show Optic Echo Presents live on XRAY.FM Sunday nights 5-7pm PST. Mike’s live music currently involves live looping processed synths, guitar, and vocals which build into a mix of ambient and experimental atmospheres. Doug Nufer reads from Lifeline Rule (Spuyten Duyvil), his new novel where vowels and consonants alternate one by one. Thirty years after France’s OULIPO/ Ouvroir de Litterature Potentielle, Italy’s OPLEPO/ Opificio di Letteratura Potenziale (Workshop of Potential Literature) was founded in 1990. Like OULIPO, OPLEPO devises and explores the use of constraints to write poetry and prose. 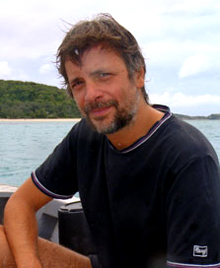 Paolo Pergola has been a member of OPLEPO since 2012. He is the author of Passaggi- avventure di un autostoppista (Rides: The Adventures of a Hitchhiker) Exorma, 2013. His work has appeared in Italian literary magazines, and he has also translated Popeye into Italian. He’s a researcher at the Italian National Research Council. 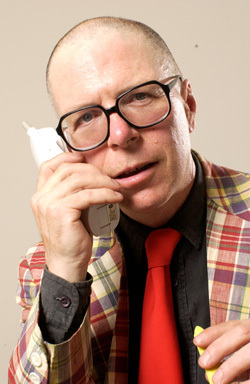 Doug Nufer is the author of seven novels, including Never Again (Black Square, 2004), Negativeland (Autonomedia, 2004), and By Kelman Out of Pessoa (Les Figues, 2011) and three books of poetry, including We Were Werewolves (Make Now, 2008). He sells wine in Seattle. You are cordially invited to a reading by translator and Fulbright scholar Anne Greeott. This is a chance to welcome Anne back to Seattle from Florence, Italy, where she has spent the last nine months translating the poetry of Mario Luzi. in the fortune teller’s crystal ball. Still I say: so far so good. Anne Greeott’s translations have appeared in The Bitter Oleander, Italian Poetry Review, Journal of Italian Translation, Atticus Review, and are forthcoming in World Literature Today, Poetry Northwest, and Gradiva. In 2014, she received a Fulbright grant to research and translate the poetry of Mario Luzi in Florence, Italy. She holds an MA in Italian from Middlebury College and is currently an MFA candidate in creative writing and literary translation at the University of Arkansas.